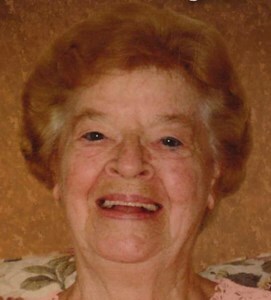 Newcomer Family Obituaries - Rita C. Opfermann-Pelphrey 1927 - 2018 - Newcomer Cremations, Funerals & Receptions. Rita C. Opfermann-Pelphrey, age 91, formerly of Ida, MI, passed away on August 8, 2018 at the Little Sisters of the Poor, Sacred Heart Home in Oregon, OH. She was born July 23, 1927 in Monroe, MI to the late John Patrick and Mary Keefe. Rita was a 1946 graduate of Ida High School. She was a devoted and loving stay-at-home wife and mother. Rita's strong Christian beliefs helped her in nuturing her young family during her widowed years. Later on she was employed at Ida Public School library, medical offices, Toledo Hospital and at the GM Plant in Toledo. In addition to her parents, she was preceded in death by her first husband Ray Opfermann and her second husband Thomas Pelphrey; son, Gary Opfermann; sister, Mary Fix; brothers, George and John Keefe. She will be greatly missed and remembered by her children and their spouses: Virginia (Richard) Weeman, Vicki (Dennis) Oberski, Bill (Rebecca Dare) Opfermann, Alan (Darla) Opfermann, Judy (Allen) Simmons, Thomas (Jane) Opfermann, Mary (Paul) Sopscak, Jim (Tammy) Opfermann, Susan Opfermann, Annette (Greg) Nusbaum, and John Paul Opfermann, step children Thomas (Carolyn) Pelphrey, Jr, Wanda Lewis, Rebecca (David) Smith, Nancy (Mike) Dodgson and Roxanne Pelphrey. 19 grandchildren and 29 great-grandchildren. A Celebration of Life will be held at Little Sisters of the Poor, Sacred Heart Home, 930 S Wynn Rd, Oregon, OH 43616 with visitation on Sunday, August 12, 2018 from 2-7 p.m. with recitation of the Rosary at 6:30 p.m. and Funeral Mass on Monday, August 13, 2018 at 10:30 a.m. in the chapel. The family wishes to acknowledge the wonderful care and love she received from all of the nuns and staff, and the many friendships she made with the residents. In lieu of flowers, memorial contributions may be made to Little Sisters of the Poor, Sacred Heart Home, 930 S. Wynn Rd., Oregon, OH 43616. Add your memories to the guest book of Rita Opfermann-Pelphrey. Our sincere sympathy in the loss of your mother, Judy. You are in our thoughts and prayers daily. May God give you peace and comfort. You have my prayers and sympathy at this special time. Mrs. Opfermann was a kind and special lady whom I will continue to remember fondly. My deepest condolences to her her family.